Author: The apostle Paul, along with Timothy (1:1). In Ten Words or Less: Friendship letter” between the apostle Paul and a beloved church. Details: With sixteen references to “joy” and “rejoicing,” Philippians is one of the apostle Paul’s most upbeat letters—even though he wrote it in “bonds” (1:13). Paul thanks the church at Philippi for its support (1:5) and encourages its people to “rejoice in the Lord alway: and again I say, Rejoice” (4:4). Giving in shark infested waters As we close out our study in Philippians the Apostle brings up the subject of giving. Often as Christians we’re conflicted because on the one hand we know we should give but on the other hand we know there are many who say they are of God and are not and should therefore not be supported. As the Apostle Paul told us earlier, there are many in the church whose god is their own belly. Join us in our study of the fourth chapter of Philippians, as the Apostle shares with us some guidelines for giving. Seek to be Reconciled The wonderful church in the ancient city of Philippi was being threatened of being torn apart because of an unwillingness of some to be reconciled with each other. Paul the apostle uses strong tactics and strong language to get this church back on track. Join us as we begin chapter 4 of Philippians as we deal with the issue of reconciliation. Many Enemies of the Cross We are warned at the end of Philippians chapter 3 that there are many Enemies of the Cross. But what Paul gives us, is insight on their motivation and what to look for so that we are not taken in by their deception. Remember Jesus told us, “Take heed that no man deceives you. For many shall come in my name, saying, I am Christ; and shall deceive many” Matthew 24:4-5. Join us in our study of Philippians chapter 3, to gain insight on the tactics of those who oppose the Cross. Beware of Dogs The warning of “beware of dogs”, is not one that we’d expect to find in the Bible, yet we read it in Philippians chapter 3. The Apostle Paul was dealing with people who were more captivated by man’s devotion to God, than God’s devotion to man. Whatever devotion someone has for God, that devotion is not what will save them from the judgment to come. In the opening verses of chapter 3 we will continue to look at that age old struggle in the Church between Works and Grace. Dealing With Warning Signs Church splits like divorces rarely happen without warning. You can look back from these events and see that there were troubling signs that were neglected. As we come to the end of Philippians chapter 2, the Apostle Paul is seeking to deal with the problem before it gets out of control. In this chapter, he gives us four examples to follow so that our lives can be used to bring peace to the family of God and division. Working Out Your Own Salvation The Philippian church was struggling with what many churches struggle with which was division. The Apostle Paul was encouraging them to be unified. And to that end he tells them not to work “for” their salvation, but to work “out” their salvation. Join us as we continue to study the second chapter of Philippians dealing with healing divisions in the Church. The mind of Christ or the mind of satan? There are only two paths that we can live our life upon, the false and the true. We can follow the example of the fallen Cherub or the example of the descended Son. In Philippians chapter two we look at the emptying of the Son of God, and how we are called to follow His example. What’s your Philosophy of Life? As we come to the end of chapter one in Philippians the Apostle Paul gives us his philosophy of life. What we believe is the purpose of our life is huge because it in many ways sets the direction of our life. The Apostle Paul was no doubt used by God in such a tremendous way because of his view of the purpose of his life. He said, “for me to live is…”. How would you finish that sentence? Join us in our study to see how Paul finished it. God Uses Everything Paul wrote to the church in Philippi from his prison cell in Rome. He is assuring them that God has not made a mistake by allowing him to be placed in prison. But rather God was at work using what all would agree were less than favorable circumstances. Join us in our study of Philippians chapter 1 as we see God at work even when life doesn’t make sense. 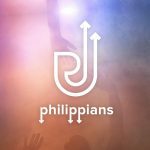 As we begin our study in Philippians we see that the word “joy” is found sixteen times in four chapters. The theme of this letter is joy. Joy is different than happiness. Happiness is a delight based upon some present circumstance. Joy is rooted in something very different. Join us as we study the opening verse of chapter one and discover what the scriptures sat about the source of our joy.